This month’s featured book for grown-ups provides insights on a subject many of us would benefit from understanding better. Naoki Higashida was 13 when he wrote The Reason I Jump about his childhood experience of autism. Higashida wrote using an alphabet grid developed by his mother. He found using non-vocal communication was an effective way to overcome his communication challenges. This opened up ways for him to express and share his feelings and thoughts fully. Although The Reason I Jump was published in Japan in 2007, it was not available in English till 2013. It was the endeavour of parents looking for more perspectives on autism that led to its translation from Japanese into English. Both The Reason I Jump and Higashida’s follow-up book – Fall Down 7 Times, Get Up 8 – have been translated by KA Yoshida and David Mitchell. After their son was diagnosed with autism, Yoshida and Mitchell searched for resources to provide insights and understanding about the condition. They found and read many books on the subject. The Reason I Jump uniquely provided an account by a young child of his feelings and experience. Because of the way autism can restrict communication, the experience of the person can seem like a mystery to others. Mitchell describes the insights that Higashida has been able to share as “transformative, life-enhancing knowledge”. I became totally absorbed while reading The Reason I Jump. One of the first striking revelations by Higashida comes in his very first sentences. He describes how he did not realise he was a “kid with special needs” when he was very young. He eventually realised this through people telling him he “was different from everyone else, and that this was a problem”. It can be common in our society to consider people with special educational needs as a “problem”. This may be particularly the case when we find their behaviours difficult to deal with. The frustration we might feel can come from a lack of understanding of the ways in which their behaviour can be different. For example if a child is having a “meltdown” this can be incredibly difficult to cope with. Higashida explains that these panics or meltdowns can be triggered by all sorts of things, including intense feelings of helplessness. “Our feelings are the same as everyone else’s, but we can’t find a way to express them”. The format of the book provides an accessible structure. Sections are broken up into questions being posed to the child, such as “Why don’t you do what you are told to straight away?” Higashida’s replies provide explanations of why this can happen. He also provides suggestions for positive approaches that could be helpful during frustrating situations. For example, one simple yet significant tip is to say the person’s name before speaking to them. This can help grab their attention so they are more likely to notice you are speaking to them. 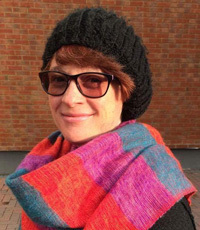 ” ‘Not noticing’… is not the same as ‘deliberately ignoring’,” Higashida reminds us. However this book is not a “how to” kind of handbook, claiming to have all the answers. It encourages a flexible understanding of how different people can experience autism in different ways. It is written in a conversational tone and often feels like a friendly chat. Higashida’s writing style is also poetic and quite beautiful. Higashida asks the reader to understand how it feels to struggle so much with communication. “Can you imagine how your life would be if you couldn’t talk?” This realisation is challenging and striking. But another wonderful aspect of Higashida’s book is that it is also very optimistic and hopeful. Poignant yet optimistic short stories break up the question and answer format at intervals. Additionally the 2014 edition of The Reason I Jump is complimented with beautiful illustrations by Kai and Sunny. Their images relate to Higashida’s close connection to nature and help to create a sense of calm and balance within the book. The capabilities of people who have autism can often be underestimated. Author and co-translator of the book, David Mitchell describes in this short video the surprise and shock he experienced when he read The Reason I Jump. Mitchell speaks of how those of us who do not have autism assume that because someone cannot communicate their thoughts and feelings that they don’t have them. And that’s due to the lack of understanding of those of us who don’t have autism rather than the other way round. It is moving to hear how Mitchell’s impression of his son has been transformed by reading Higashida’s book. 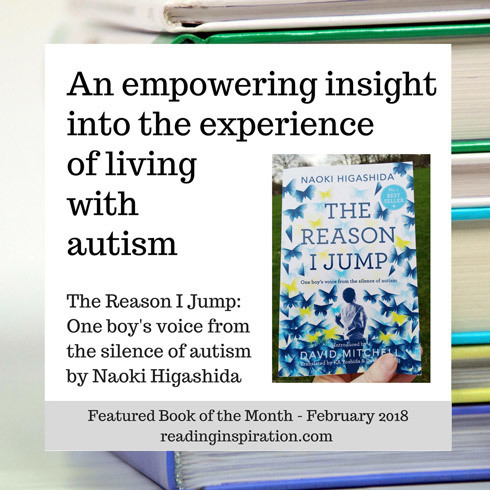 The Reason I Jump can effect the reader on a personal and profound level as it really does challenge us to think about our attitudes and preconceptions of people who have autism. Personally I have realised that I have avoided engaging with children affected, and excused myself with the reasoning that I did not how to relate to them. Having said this – the point of The Reason I Jump is not to make us feel bad – but to help increase our understanding. And the book does that in a very powerful way. I’d highly recommend The Reason I Jump to anyone who wants to understand the experience of autism better. However the book provides more than an informative perspective, it is also a beautifully written piece of literature that is a pleasure to read. Have you read The Reason I Jump? What did you think? I’d love to hear your views in the comments below. Fantastic!! I worry that so many of our narratives around the autism spectrum (and other neuro areas – dementia etc.) are so caregiver-focused, especially where the condition inhibits or frustrates communication. The stories of caregivers are, of course, extremely important, but I worry about them being accessed instead of – rather than in addition to – the stories of the people themselves. This sounds like an excellent one to add to the library of patient-centered narratives, thank you for sharing your review! Thanks Sheree, I really agree, the perspective of those experiencing autism is often overlooked. This is a unique book, I definitely recommend it.